This site’s Father’s Day article asked the question what is the role of the father? 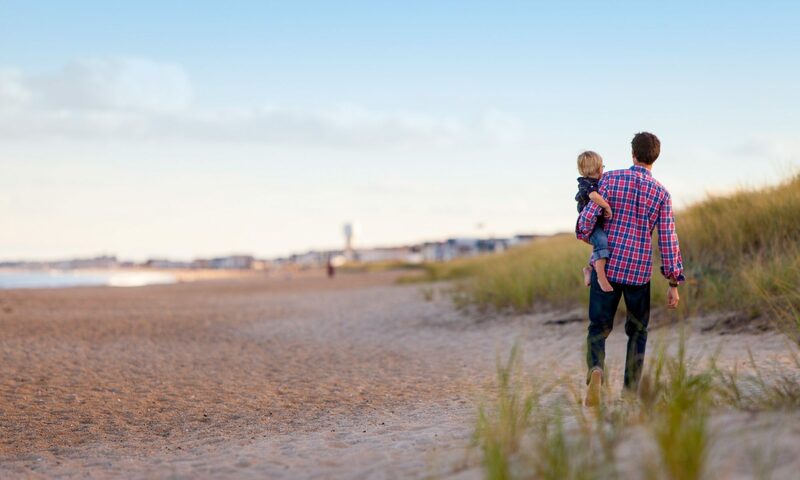 There have been huge changes affecting fatherhood and the family in the past four decades and as is typically the case, the structure has been badly outpaced by events and trends. As families have struggled with the upheaval, attention has turned periodically in the press to the attempts to cope; with women now heavily in the workforce, the question has generally been asked as how much housework and childcare is the father doing to assist the mother. Is Dad doing enough in the household to help Mom? How much time is spent on dusting and childcare activities to make life easier for Mom, who’s also now in the workforce? On one level, those are entirely appropriate questions. Caring for, and raising, children is hard work; it’s physically intense when they’re younger and more intellectually and emotionally intense when they age and move out to interact with the world. But the undertone of the conversation is that Dad is the junior partner in terms of the parenting with the bulk of the real power in the hands of Mom, who’s more qualified and capable of managing the kids. This isn’t just a media perception either, but one that men themselves have stated in the media. It’s saddening to read the comments of fathers in national publications that I’m just watching the kids until their mother gets home and the kids are my boss, I work for them. Seriously, the kids are your boss and you work for them? Sweet Jesus, that’s the kind of scenario played out in comic books in which the Joker is somehow made warden of Arkham Asylum. While I no longer listen to Limbaugh, he is right when he states that words have meaning and while that father meant that he worked in the household on their behalf, the wording leaves one with the sense that many fathers view themselves as the junior member of the parenting partnership. Bucky, the sidekick parent. Mrs. Darling first heard of Peter when she was tidying up her children’s minds. It is the nightly custom of every good mother after her children are asleep to rummage in their minds and put things straight for the next morning, repacking into their proper places the many articles that have wandered during the day. If you could keep awake (but of course you can’t) you would see your own mother doing this, and you would find it very interesting to watch her. It is quite like tidying up drawers. You would see her on knees, I expect, lingering humorously over some of your contents, wondering where on earth you had picked this thing up, making discoveries sweet and not so sweet, pressing this to her cheek as if it were nice as a kitten, and hurriedly stowing that out of sight. It’s lovely writing but in the language of the twitter generation, Moms are generally better at getting inside the heads than Dads. I’m trying to not sound sexist, but while women are better turning inwards to the family, I believe that men are generally better at facing outwards, towards the world. When the kids were very little, I believed that my first and foremost job was to not only care for them, but protect them. They were incapable of handling whatever was out there and it was my job to assure that no harm came to them. But as they grew and moved out into the world, the physical aspect lessened but the sense did not. My job was to prepare them as much as I could – and they were willing – for life in the world. My job as a father is to teach them not only about the world but also, and more importantly, how to handle what came their way. This could be done via conversations but also by example and behavior. How do you handle people who might come to the front door? What do you need to remember about handling money matters with salespeople and others? Are there situations that you and the kids witness that need to be discussed? For example, my wife and I were taking the kids to a summer evening event in a nearby city and as we drove down a street, saw a man – surrounded by others – beating another man. As my wife dialed 911 from the cellphone, I wheeled the car up a side street and away from the fight. Why didn’t you stop? Why didn’t you help the guy? Because I’m in a car with three children, the oldest in middle school and there are a number of people surrounding this fight. Why aren’t they stepping in and am I creating more issues by trying to intercede? What happens if I’m outnumbered and the disturbance shifts to our car? Courage is important but smart is even more so. Our world is an unfriendly place and it’s only becoming moreso. Behaviors have grown more callous and crude and if there’s nobody to teach kids how to respond to unpleasant people and situations, then the potential for more problems rises. Not only is our world increasingly unfriendly, it’s increasingly complex. Kids might be technological whizzes, but they’ve so immersed themselves in their electronics that they pay no attention to the actual workings of the world. Turning in a job application is only the first step in the process. Have you actually asked somebody for a reference before they get a phone call from a potential employer? When and how are you going to follow up? What do you think that you’re going to say? If you want to go to the beach after graduation, where do you plan to stay? Is there a contract that you have to sign and more importantly, have you read it? Situations and circumstances in the outside world can certainly be handled by women, but there are moments when a male presence makes a difference and it’s important for the kids to see how. This is especially the case for boys, who desperately need a stable male presence to provide a model for manhood. Prepare them for the world. Educate them. Search out and seize teachable moments at all ages, whether it’s pointing out how a helicopter is like a hummingbird, how to handle a bully or change the tire on a car and bicycle. Do your best to manage yourself in tense situations so that they have a model on which to build their own behavior when older. Explain the world to them at every opportunity, talk to them, chat with them and reinforce your core values and beliefs whenever possible. Understand that even when you aren’t overtly teaching, they are watching you intently and learning as they go. All of the other stuff – housework and childcare – matters greatly as it’s upon this mundane minutiae that households are given form and structure and turned into homes. The women in your lives deserve your support and they in turn owe you likewise; just remember however, that raising children should be a partnership between mother and father and the best partnerships are built among equals with neither one being junior to the other. Generations move forward through time. When the children are youngest, they’ll be behind you for their protection. As they grow, they’ll learn to take a place at your side and when they’re adults, they’ll advance ahead of you into a new world of their own with its own trials and pleasures. And when they become parents, the cycle will continue anew as they protect their little ones standing behind them. Previous PostPrevious How Far To Take the Lessons?